Emily currently serves as the Senior Vice President of Sales and Marketing for Griffin Residential. She directs all marketing efforts, sales and property management, design center operations, and is responsible for the company’s brand management. Emily also assists in the company’s product and community development. Emily is part of the fifth generation of the Griffin homebuilding family and has been involved in the family real estate business since 2000. Before joining Griffin Residential, she worked as Vice President of Sales and Marketing for Griffin Communities. 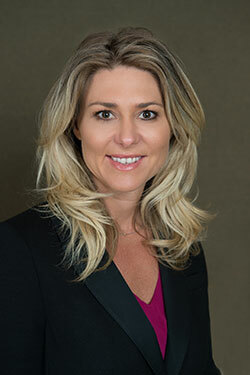 With over fifteen years of experience in the homebuilding industry, Emily has been involved with the successful management and sales of over one billion dollars worth of real estate throughout southern California. Emily attended San Diego State University, where she majored in business management and minored in psychology. She has also acquired certifications in Marketing from the University of California, Irvine and Interior Design from the University of California, Riverside and holds a California Real Estate License.